First hailed as a wonder of the new industrial world, to later 19th-century commentators the name Ancoats became synonymous with dark satanic mills and urban poverty. 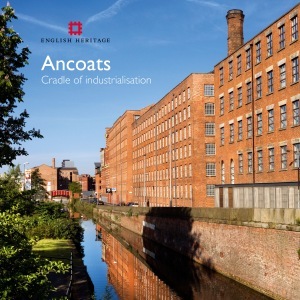 This book intends to raise awareness of the wide range and varied character of the historic mills, buildings and canals which constitute the Ancoats townscape, and the forces and trends which have contributed to its appearance. It outlines, through its buildings, how the area and its community have evolved over the last two and a half centuries. As well as the local person interested in his or her city and its history this book will appeal to all those with an interest in the growth of towns and cities, and in social history and the legacy of socio-economic, industrial and technological change within the built environment. It will also be of interest to planners and conservation officers dealing with regeneration issues.